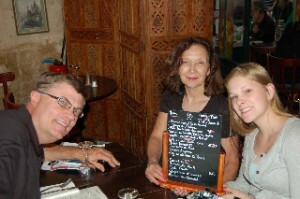 Anne Koehlinger once visited St. Catherine’s Bistro in Paris. Culinary arts, the practice or manner of preparing food, is a career that requires years of rigorous training and innate creativity to master. Anne Koehlinger is a high school graduate eager to pursue culinary arts upon completing her studies at Illinois Virtual School, College Prep. Her passion for culinary arts developed from a recent visit to Paris, France where she became inspired by the culture and exquisite cuisine. While in France, Anne Koehlinger feasted at an array of upscale restaurants where she met classically trained chefs and restaurant entrepreneurs. Her trip further reinforced her plans to pursue a Bachelor of Arts in Culinary Studies and develop superior cooking skills. Anne Koehlinger hopes that her combined economics and Culinary Arts educational experience will allow her to run her own restaurant business in the near future. Rigorous hands-on training is essential in order to obtain a degree in culinary arts and work in this highly competitive field. In a culinary program, students can choose to train as a sous chef, executive chef, or junior chef depending on the type of food they wish to study and their level of commitment. These programs are designed to test students’ abilities to apply basic science and cooking techniques in the areas of preparation, selection, and serving. Culinary arts programs also provide students with integral managerial and leadership skills; practical knowledge; scientific understanding; and culinary artistry. Students are required to have proof of culinary certification from a two or four year institution before a food-service establishment can hire them as a cook. Aspiring chefs are also required to complete an internship or apprenticeship to gain hands-on experience working in the kitchen. After completing this training, students can then apply for entry-level chef and kitchen management positions in the rapidly growing food service industry. After Anne Koehlinger acquires her Bachelor of Arts degree in Culinary Studies, she will have the opportunity to apply her cooking and entrepreneurial skills professionally by establishing her own restaurant. 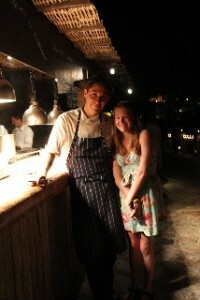 Find more about Anne Koehlinger and her enthusiasm in culinary arts on about.me: http://about.me/annekoehlinger or visiting her WordPress.